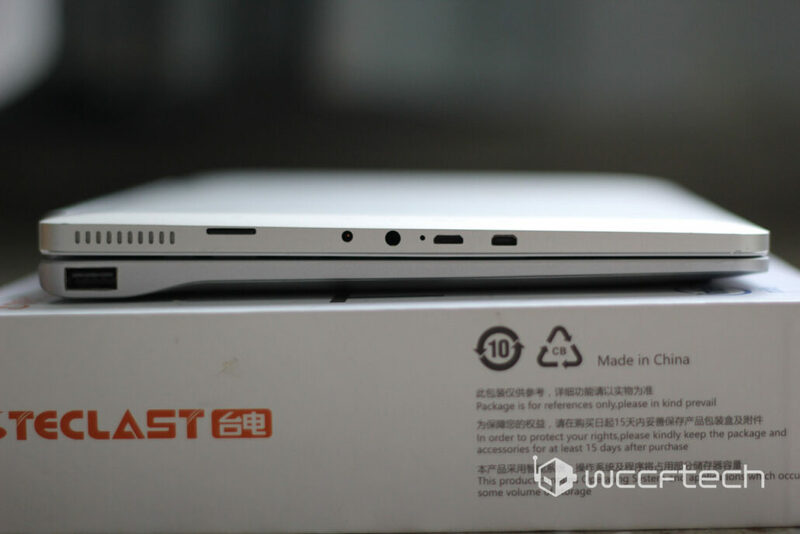 The tablet in my hands today is from the company Teclast and is called the Teclast Tbook 16 Pro Tablet PC. 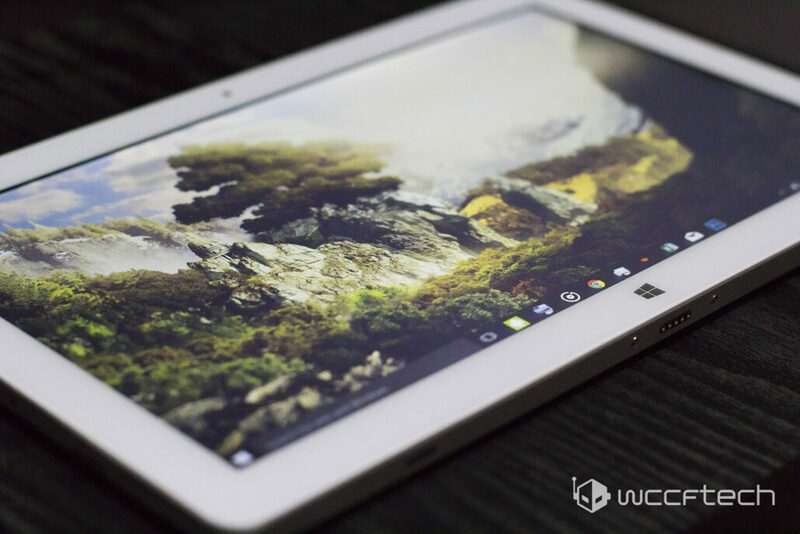 In this review, I will be going over everything from aesthetics, to build quality and of course the actual performance and value proposition of the tablet. 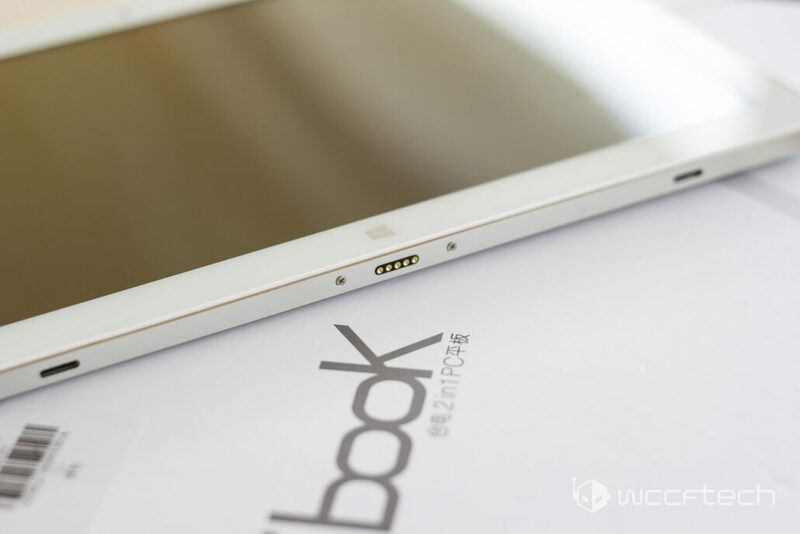 The review sample was provided to us by European e-commerce website: Gearbest. The term ‘Chinese tablets’ is usually synonymous with inferior quality and a cheap product, and I have to admit that when I received this particular tablet for review it was with very mixed feelings that I accepted it. Of course, most of the world’s computer related manufacturing happens in China so it is not really fair to only call out inferior quality products when portions of even Apple products are manufactured in China. 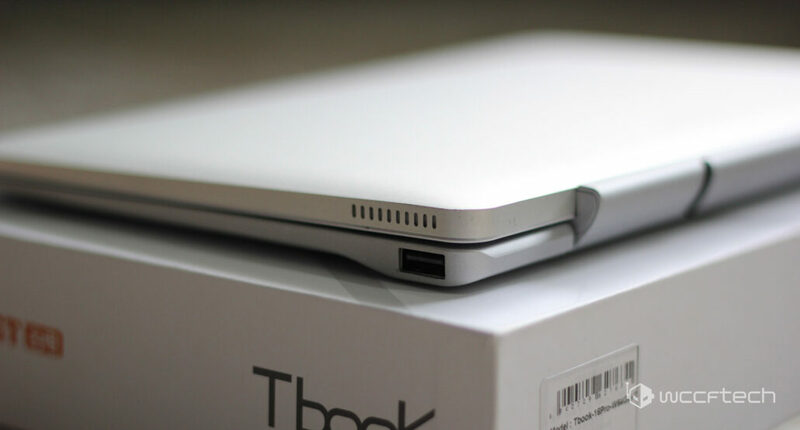 The Tbook 16 Pro features minimalistic but very pleasing aesthetics. 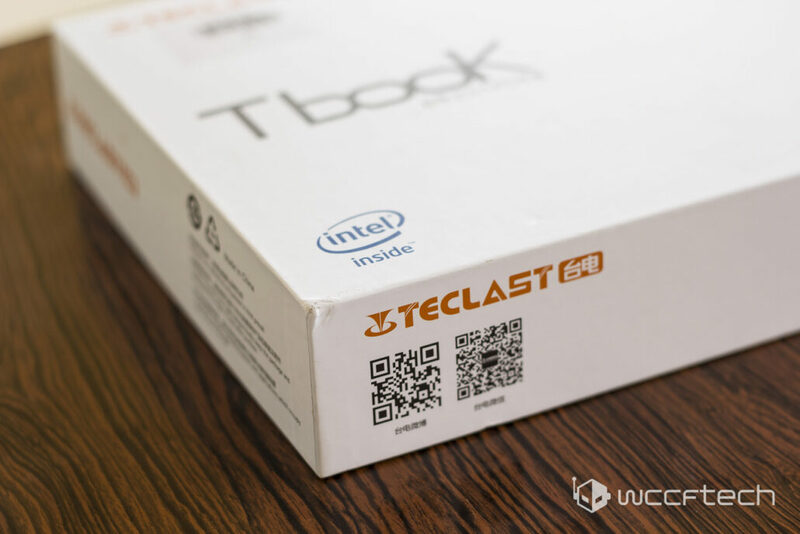 The Tbook 16 Pro features a quad-core Atom x5 processor along with an integrated Intel HD graphics solution. Clocked at 1.44 Ghz (turbo of up to 1.84 Ghz) these tiny little x86 processors depict a reasonable amount of computational power at very low power cost. In fact, the SDP (Scenario Design Power) of the Z8300 CPU is just 2W! This means the tablet will consume an incredibly low amount of power most of the time and just like most other tablets – the actual power draw will arise from the display. Buyers of this particular tablet will be pleased to see that it contains a genuine Windows 10 Home edition. 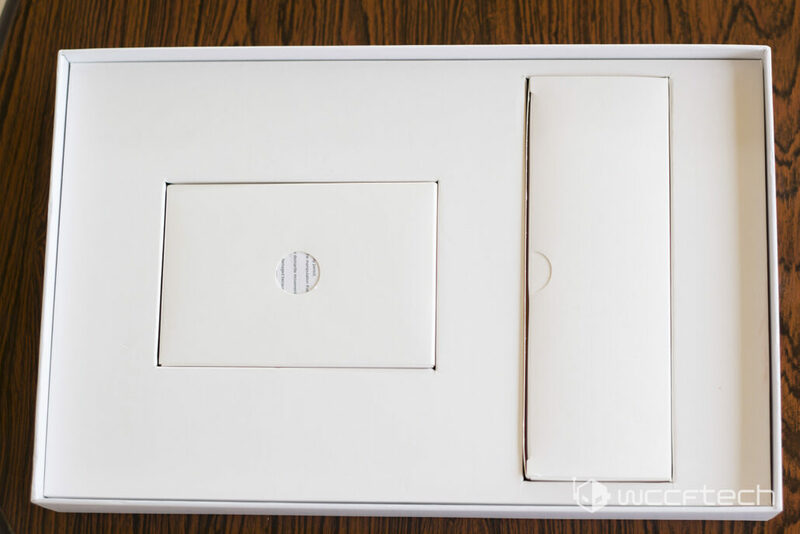 The windows tablet comes in a plain white box featuring a minimalistic design philosophy with the device logo printed on the top. The same philosophy is reflected in the contents as well as the insides are neatly packed. The tablet itself came wrapped in a protective covering but we removed that for the sake of clarity in pictures. 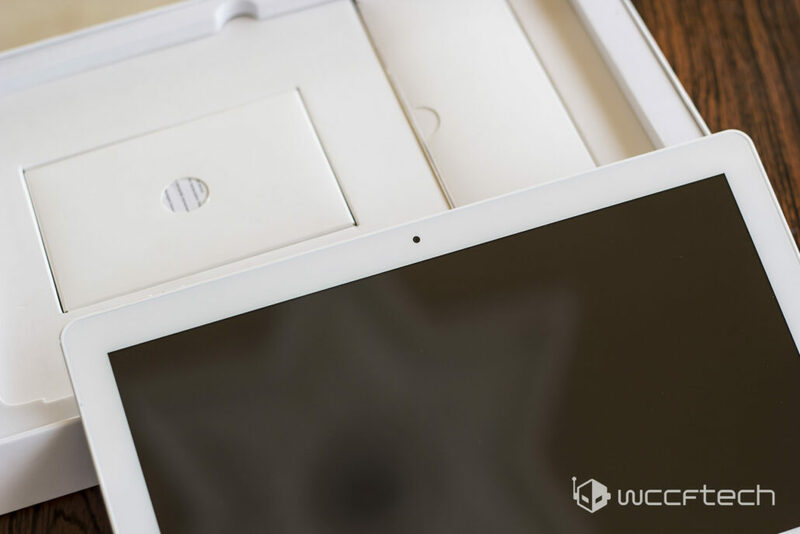 The first thing you will notice while unboxing is the tablet itself, with two plain white boxes directly underneath it holding all the accessories that come with it. It is worth noting at this point that while some promotional images show the tablet with a keyboard and stylus, both have to be bought separately and are not included in the package contents. 2x instruction manuals (in English and Chinese). 1x USB to micro USB (Female to Male). Keyboard and Stylus must be bought separately. 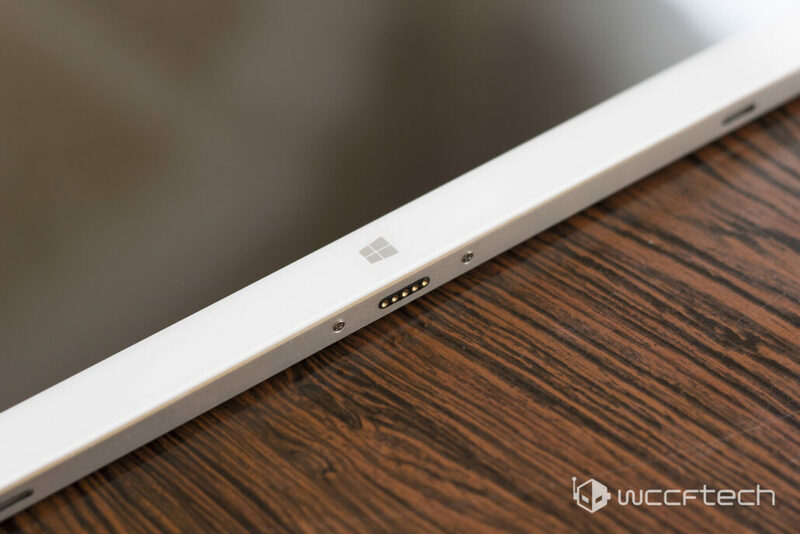 The tablet can be charged with both the DC pin port and the micro USB port although the DC pin port charges at a slightly faster rate than the former. The storage is expandable using the MicroSD card slot (up to 128 GB according to manufacturer specifications) or using USB OTG. 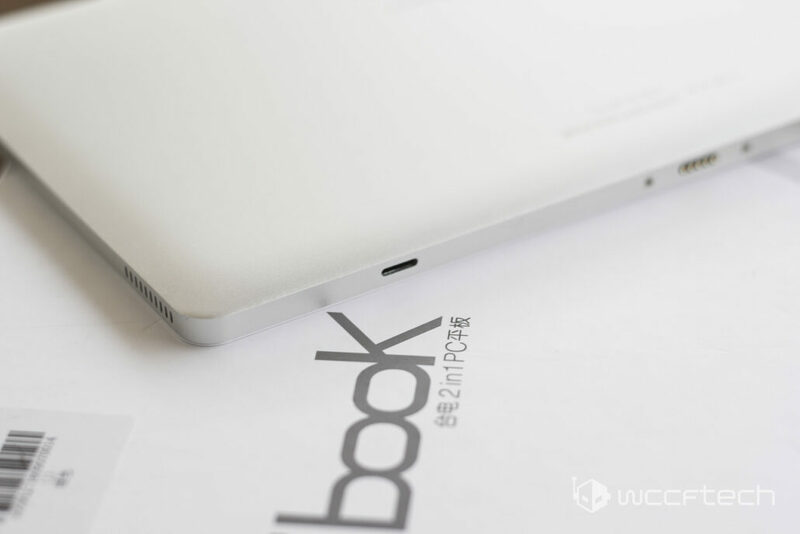 The tablet also contains two side firing speakers on the body as well as the keyboard connector and magnetic seals on the bottom. 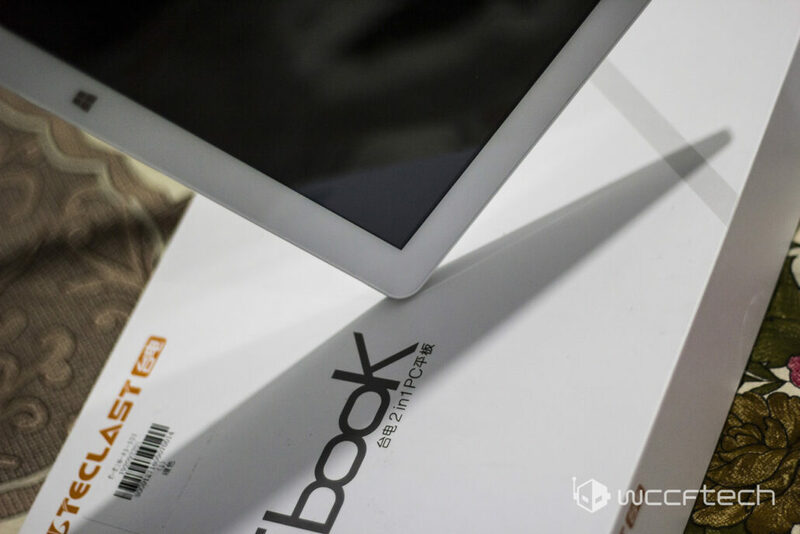 The build quality is something that you might expect a tablet in this price range to skimp on – but nothing could be further from the truth then this or the Teclast Tbook 16 Pro. The entire body is made from anodized metal and has an incredibly premium feel to it. The buttons are very sturdy and responsive and the entire construction feels very solid in your hands. The color choice of the tablet is reminiscent of Apple products – something which isn’t a coincidence I am sure. When the tablet is started up for the first time, users are presented with a language menu from which you can choose your desired language. What comes after is the typical Windows 10 first time boot process, something I am not going to go into detail here. After that is done, you have a no nonsense windows environment available to you. One of the most important things in terms of build quality and something that must never be compromised at is the display of a tablet. Most low-end tablets have bad, pixelated displays with low PPI values as well as low viewing angles. The Teclast Tbook 16 Pro is a cut above the rest in this regard as well. It has one of the gorgeous IPS displays I have ever had the pleasure of seeing and features a full resolution 1920×1080 display in an 11.6 inch screen. The result is an incredibly vivid display with a viewing angle of 178 degrees. Wallpapers and windows login images are an absolute treat to look at and should be pretty helpful for designers and artists on the go. 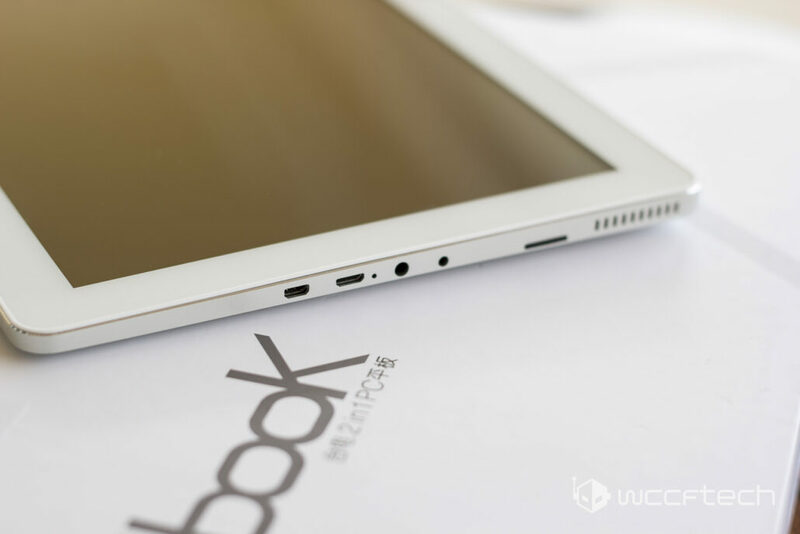 The Tbook 16 Pro features a very vivid, high contrast, IPS, Full HD display with a wide viewing angle. The display is capable of a large percentage of the sRGB spectrum (certainly more than some TN panels and even some smartphones) and preserves contrast in images even at the brightest settings. The display of this tablet is probably the thing I loved the most about it and is something that increases the utility of the tablet on several counts of workloads. 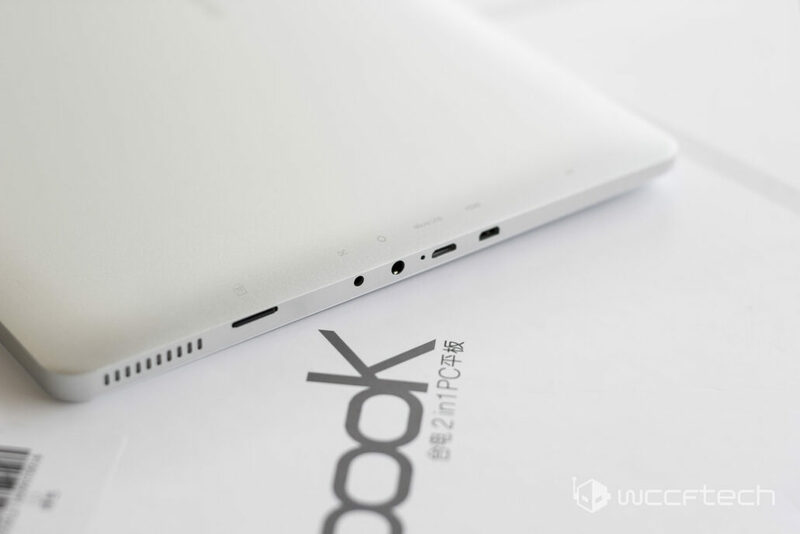 The Teclast Tbook 16 Pro scored a cool 57,375 in the Antutu benchmark. This indicates decent mid-high end level tablet performance when operating in Android mode. The graphics rating also shows that the tablet will be able to handle almost every Android game you throw at it. We tested quite a few graphically demanding titles on it and all of them ran without a hitch. I also ran the benchmark that was recently thrown into the spotlight thanks to its claims regarding the Apple A10 chip: Geekbench. 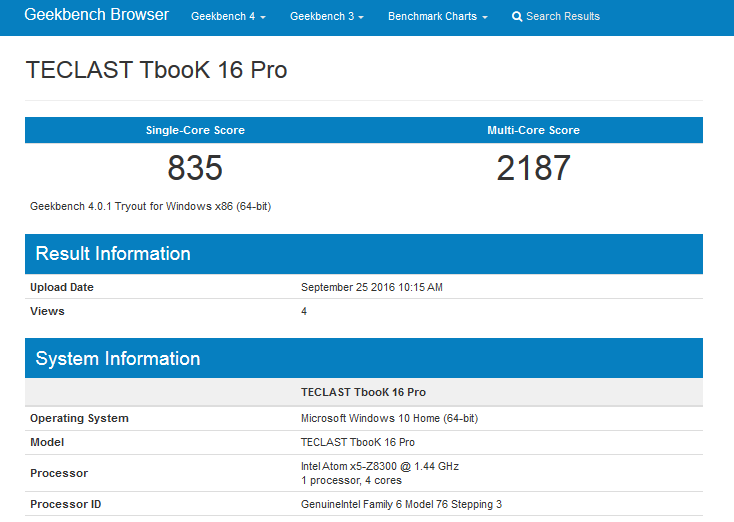 The Geekbench result shows a mid-tier single thread performance and a decent multi-core performance level, clocking in at 835 and 2187 respectively. Geekbench tests quite a wide array of workloads so its aggregate scores are usually to be taken with a grain of salt. 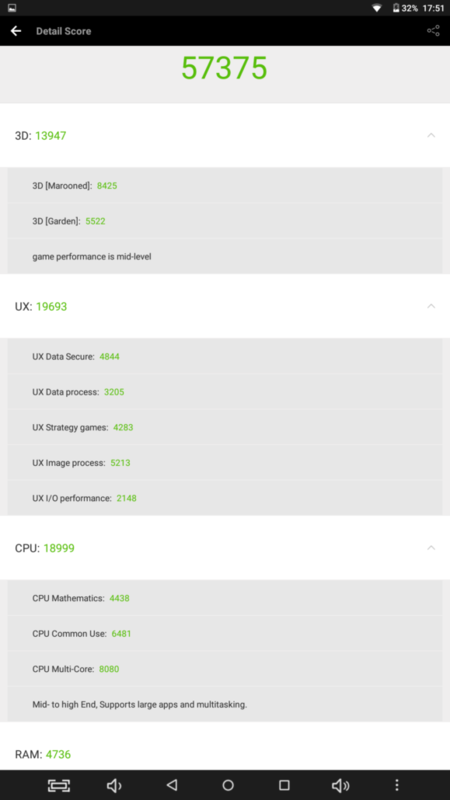 For the detailed Geekbench breakdown with individual scores, you can go here. 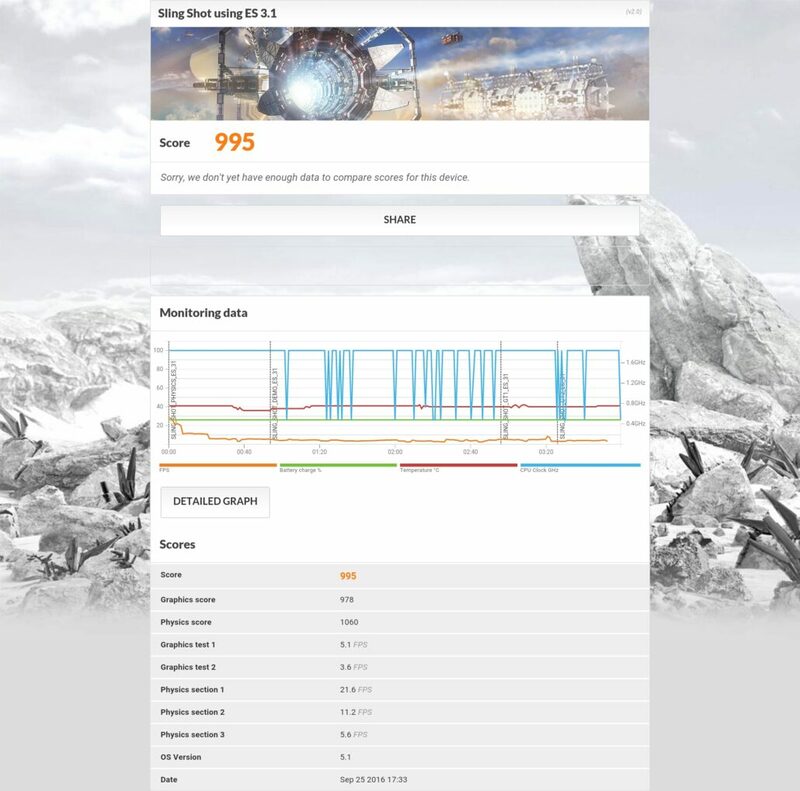 Finally, let’s talk about the 3DMark suite. This particular synthetic is probably my favorite. Not only because it runs a no-nonsense CPU and GPU workload but also is fairly optimized for all devices – making chip to chip comparisons possible. Since the workload is fairly straightforward and does not consist of a wide variety of applications, the aggregate score can usually be trusted to be indicative of the true performance of a chip. 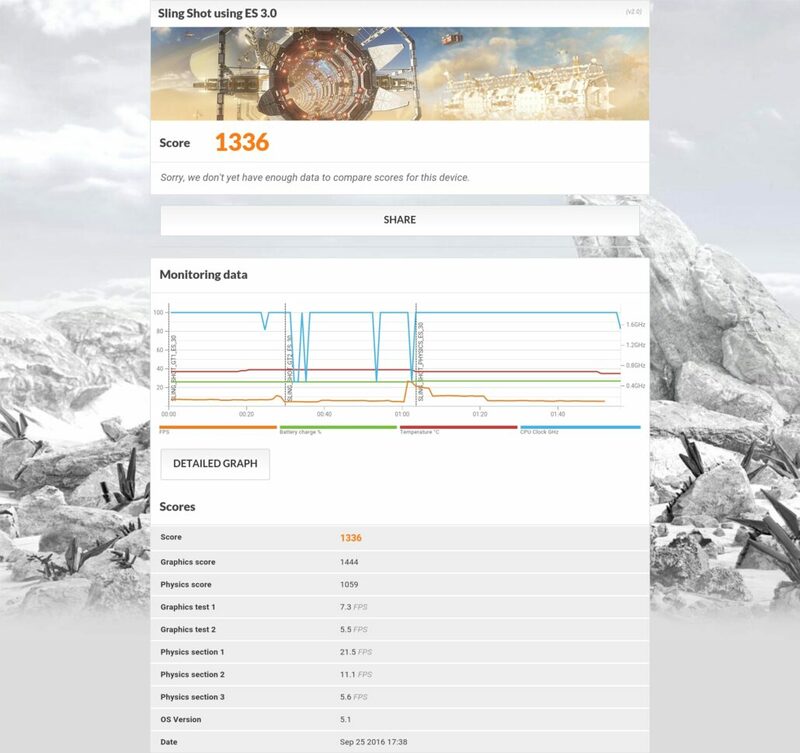 I put the tablet through three tests: 3DMark IceStrom Unlimited because it is the go-to benchmark for making chip to chip comparisons across platforms and devices and also because it is the right difficulty level for a device rocking an Atom processor. Secondly, I ran the Slingshot benchmark in both ES 3.0 and ES 3.1 settings. This is a fairly intensive benchmark and a good indicator for high end workloads. 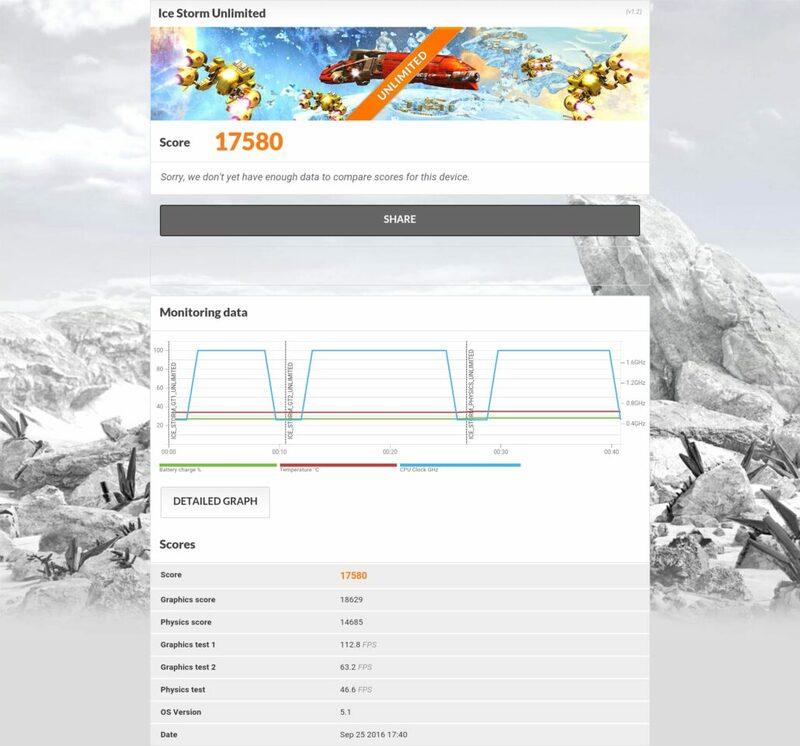 In the IceStorm Unlimited (offscreen) benchmark, the tablet was able to achieve a decent aggregate score of 17580, with the CPU and GPU getting scores of 14685 and 18629 respectively. Throughout the intensive workload, the SOC maintained a temperature of approximately 40 degrees, which means it should be able to handle 100% workloads for a reasonable amount of time. Then came the Sling Shot ES 3.0 benchmark. It was quickly apparent that this particular synthetic had a workload that maxed out the device’s capabilities but the tablet still managed to clock a score of 1336. Finally, for the same benchmark run in ES 3.1 mode, the score fell below the 1000 mark to 995 – this is something expected considering the GPU in question is an Intel HD graphics solution. All three benchmarks were run in Android mode. Now for the subjective experience. It goes without saying that the key to testing a product like this is to keep the limitations of the platform in mind. Since you are dealing with an Atom processor with TDP barely in the single watt units, the power available for processing is going to be quite limited. That said, I put the tablet through some various stress tests and it came out better than expected in nearly all of them. 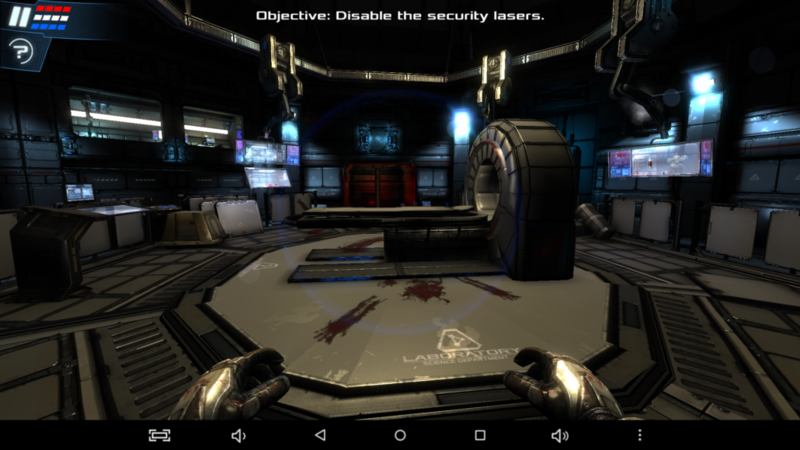 As I have mentioned before, we tested quite a lot of games on it – including Dead Effect 2, Modern Combat 5 and Real Racing 3. For reference, I installed Photoshop and processed a batch of RAW photos. There was the occasional glitching and lagging due to the process intensive nature of the workload, but all in all, it was an experience I wouldn’t mind repeating. Since RAW processing is one of the heaviest tasks you can do in Photoshop (barring 3D work), this shows that the tablet is well suited to 2D design tasks – especially if you go for the stylus add-on. Microsoft office, web browsing, and other casual applications also work seamlessly, although I did notice the tablet, for some odd reason, seems to have issues with the Firefox browser. The tablet takes a few minutes to transition to Android mode from Windows. During bootup, you are presented with an option-screen showing the Windows Logo and the lovable Android (droid?) after which the Teclast logo fills up the screen for a minute or two before finally being shown your chosen OS. During testing of this particular tablet, I was of the opinion that the Android 5.1 OS is a waste of resources in this matter. This is a notion that will probably be reflected in potential buyers of this tablet as well – not just me. Even though the tablet comes with a storage capacity of 64 GB – some of it is taken by the EFI bios and the OEM Recovery partition (roughly 1 GB of space). Then the rest is partitioned approximately half and half to Windows 10 and Android OS respectively. Now any windows user knows that just 20 ish GB of space is woefully inadequate for an OS that has a habit of growing over time (especially with forced updates!). Unfortunately, deleting the Android 5.1 partition and OS isn’t as easy as it should be, but I was determined to free half of the storage that was being held hostage by an OS that was essentially redundant in nature and I was able to do that successfully. Using the Easeus Partition Master I deleted the Android RAW partitions and then merged them into one continuous NTFS partition before merging this new partition with the primary Windows one (the windows in-built disk partition tool is not capable of this feat – which is done before boot). To anyone attempting the same feat, as long as you steer clear of the EFI and Recovery partitions and pay strict attention to any warnings given by Easeus Partition Master, you should be fine. The result was a windows partition with approximately 57 GB of useable space (not counting the OS) and tablet that is now truly a windows tablet. 5. 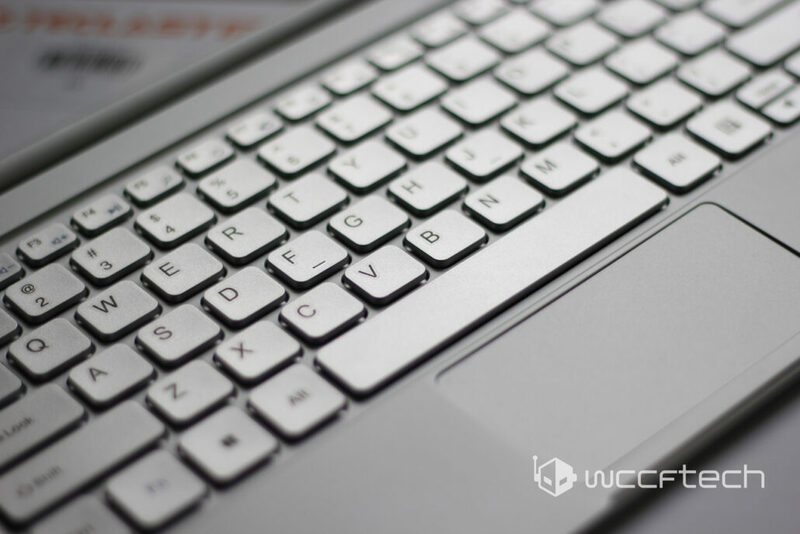 Keyboard Add-On – Is it Worth it? Let’s talk about the figurative elephant in the room now. 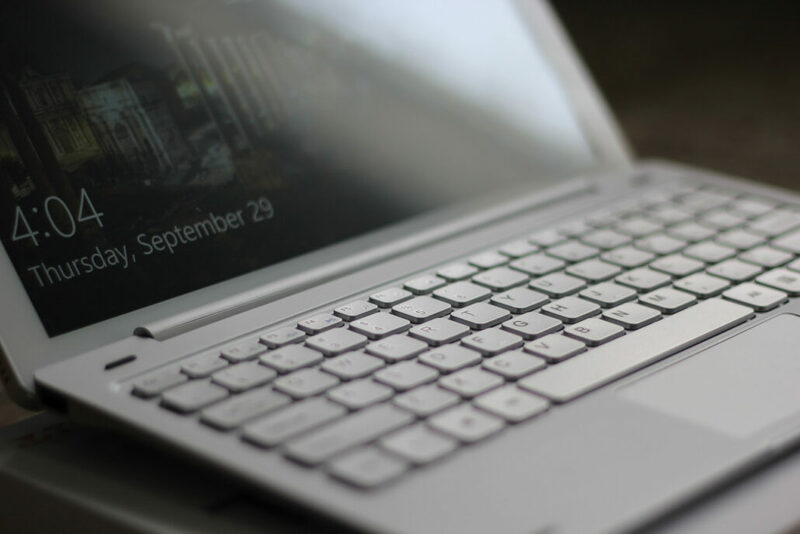 The Teclast Tbook16 Pro Keyboard must be bought separately and is kind of essential for the “2-in-1” part to come true. Cost: $35.69 (Gearbest hosts frequent promos and you might be able to get it for free during these). 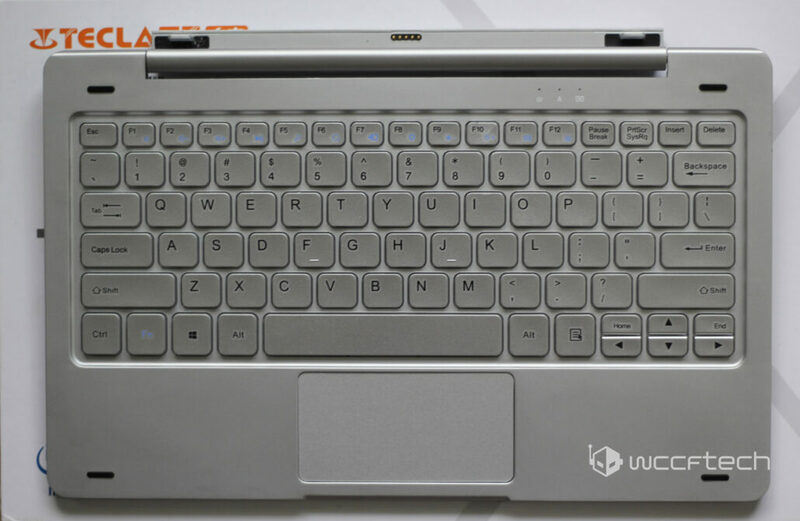 The very first thing I noticed about the keyboard was that it has a very different build quality than the tablet. 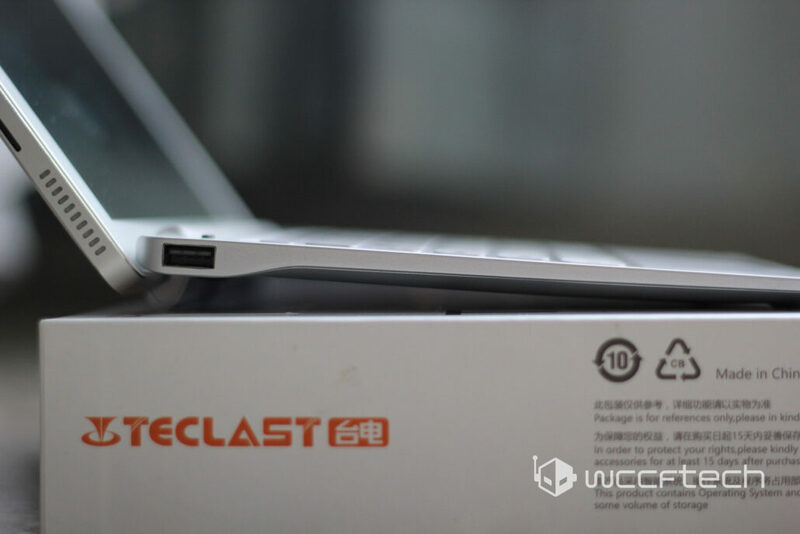 While the Teclast Tbook 16 Pro itself has an anodized metal casing with a very high quality finish and feel to it, the keyboard lacks that in nearly all aspects. 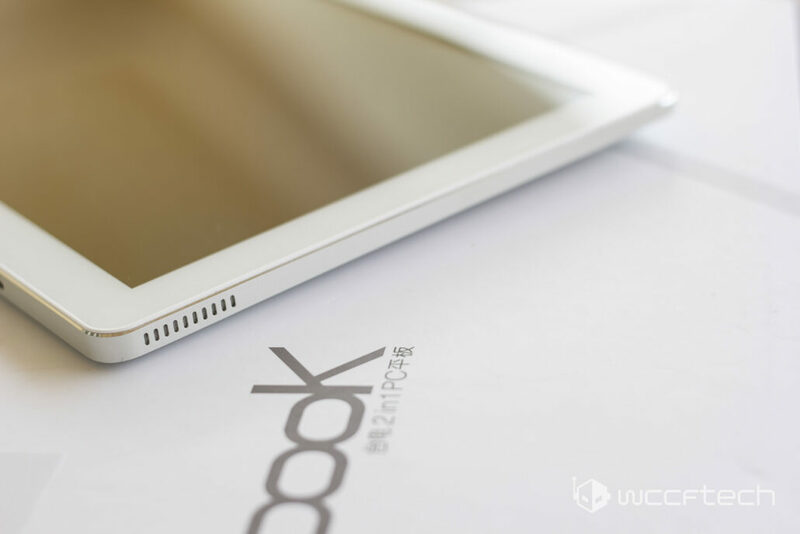 While it has a fairly good design and aesthetic, the plastic finish is noticeably different from the premium finish of the tablet. As is usually the case with docking keyboards, this one does not contain any additional batteries inside it so it will not increase the backup time of the tablet which is roughly 6 hours. 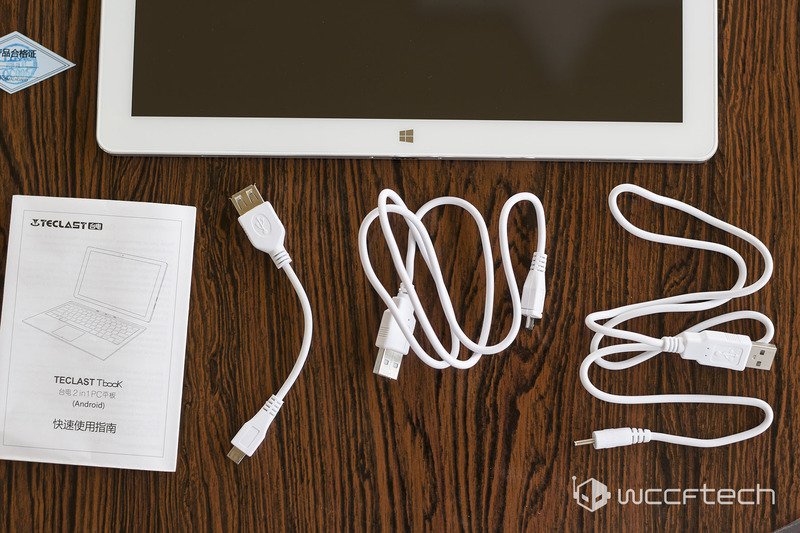 It does, however, add two USB ports to the tablet which means you will not need to use the micro USB to female USB adapter and can easily connect a mouse and a USB stick simultaneously. They keyboard portion has a decent enough build quality. The keys are designed to be similar to chiclet but don’t quite get there somehow. The keyboard is comfortable to use but users that are coming from a traditional keyboard will need some time to adjust to it since the keys are spaced closer to each other and the overall dimension of the keyboard is smaller as well. Another interesting fact is that due to an optical illusion associated with the bezel and the keyboard, the tablet screen will appear to be smaller while docked. All that said, however, I was able to get used to the keyboard in about 30 minutes and get a semblance of productivity on track. The fact remains, that if you are looking for a travel companion and want to get some work done, a keyboard is absolutely essential and the marginal utility that this offers might just be enough to offset its cost (you can always try to get it via a GearBest promotion in which case it would be free). This particular review was probably just as enlightening for me as it (hopefully) was for our readers. Being my first time with a true Chinese tablet I must say my overall impressions were extremely positive. The build quality and high contrast FHD display of the tablet is simply a pleasure to behold and the mediocre performance is more than justified by the cheap price tag associated with the device. The major caveats associated with it (nearly all of which are easily remedied) is that 1) it doesn’t ship with a charger 2) users will only be able to access less than half of the stated 64GB of storage unless they delete one OS and 3) the keyboard does not have the same build quality as the tablet. 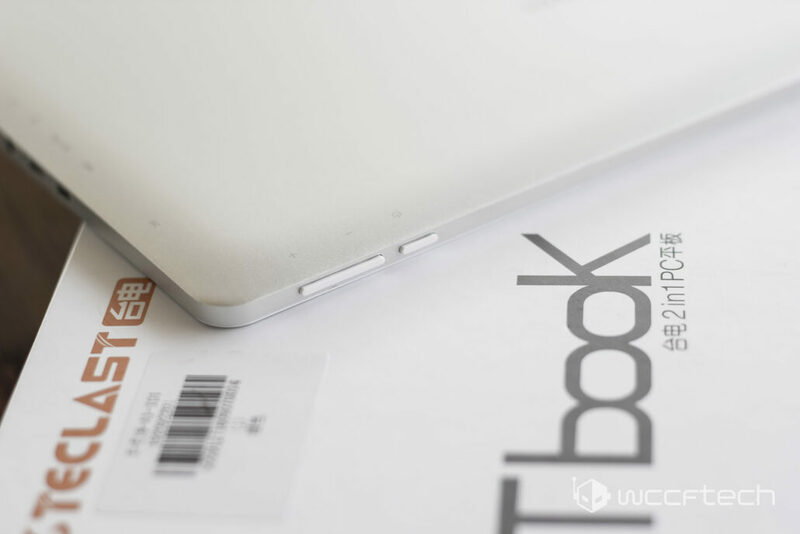 All that said, for a price tag of $210, the Teclast Tbook 16 Pro offers insanely high value. 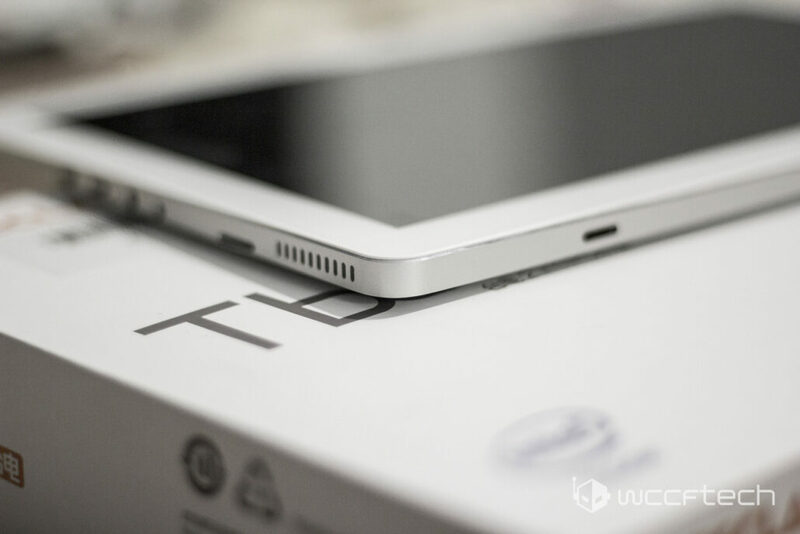 Gearbest is currently having a promotion on Chuwi tablets, the sister company of Teclast and this particular one is easily the best of the bunch. You really have no reason to complain when windows tablets are usually much higher in terms of MSRP. To give you a reference point a similarly priced ($239.9) ASUS Transformer 2 in 1 Tablet only has a 1366×768 display, plastic build, Celeron dual core and 32 GB of memory. You can expand the memory on this tablet by buying an SD Card, and it can be easily charged with any generic 2.5A wall charger. 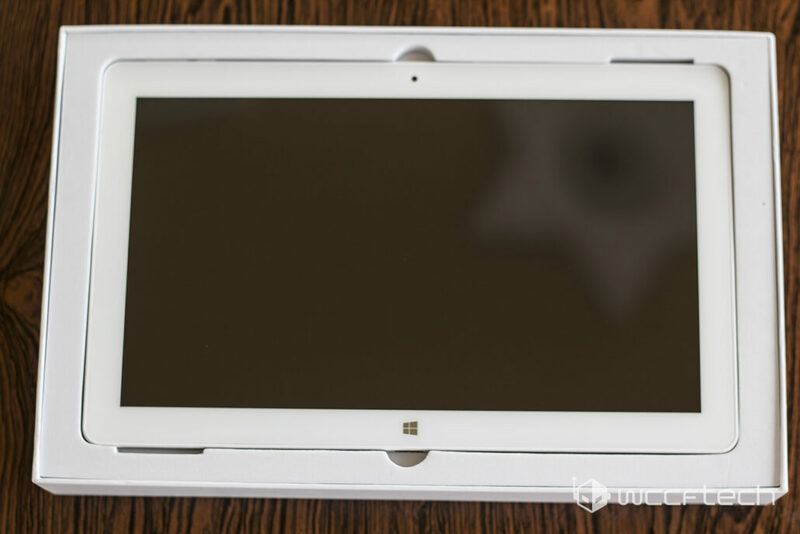 A beautifully designed windows tablet with premium build quality and an exceptional value proposition.